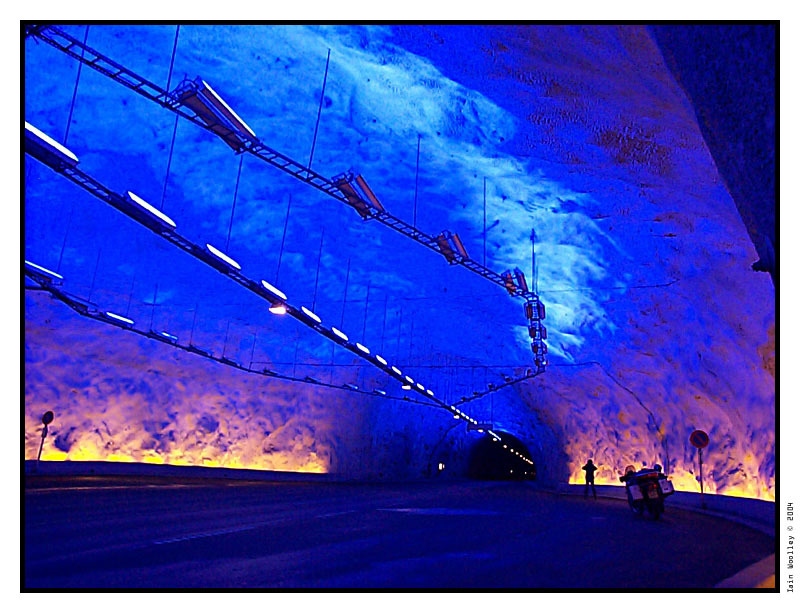 The world's largest completed road tunnel runs for 15 miles under Norway's mountainous, fjord-filled terrain. Approximately 5,000 individual blasts through solid gneiss rock were needed during construction. Still, the excavation logistics were just one of the challenges. Designers worried that the long, windowless tunnel would lead motorists to "highway hypnosis". A team of psychologists were brought in to ensure that the drive was made as stimulating as possible. To break the monotony, the tunnel was broken into four separate sections and includes bright blue lights and gentle curves to keep drivers interested.